Vegetable industry representative groups AUSVEG and vegetablesWA have labelled the AUD $5 billion Northern Australian Fund “unfair”, saying it excludes valuable regional centres. The Federal Government funding packaging, which is currently before the senate, aims to boost productivity in the Northern Territory and areas of Queensland and Western Australia that are north of the Tropic of Capricorn. Funding will also be provided to other select parts of Queensland. AUSVEG and vegetablesWA are unhappy with the distribution of the funds stating some major regional centres such as Carnarvon in are not included. Carnarvon’s (895 kms north of Perth on the Western Australia on the Gascoyne River) horticulture industry is estimated to be worth over AUD $100 million and represents more than 10 per cent of the entire horticulture production of Western Australia. Executive Officer of vegetablesWA, John Shannon, said it made no sense to exclude Carnarvon. “Western Australian Government departments and agencies consider Carnarvon to be within the scope of northern Western Australia for the purpose of infrastructure develop,” Shannon said. “It makes no sense for the Federal Government to disregard this precedent,” he stated. “On top of this, Federal Government departments already recognise Carnarvon’s position in regional northern Western Australia as requiring special consideration, with the Australian Taxation Office’s Zone Tax Offset offering taxpayers an allowance for living in Carnarvon thanks to its isolated location,” Shannon said. AUSVEG and vegetables WA are requesting the definition of Northern Australia be extended. 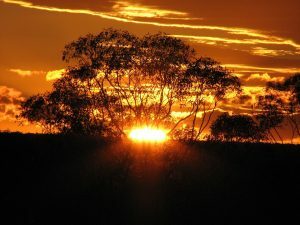 “The Government’s definition of Northern Australia for Queensland and Western Australia is nominally based on the Tropic of Capricorn, but thanks to the special conditions in the legislation, the definition’s southern boundary in Queensland is entirely below that line – sometimes hundreds of kilometres south of the actual Tropic of Capricorn,” AUVEG Chief Executive Officer Andrew White said. “If they’re willing to make these exceptions, we ask that they acknowledge Carnarvon’s huge economic value and make sure that this key area can benefit from their $5 billion investment. In reality, the 26th parallel would be a far better boundary for Northern Australia,” White stated.